A well planned and detailed lighting design with a comprehensive specification is a must for any medium to large project and also extremely useful for smaller scale ones. If you can present your building contractor with a lighting design at the quotation stage you won’t get any nasty costing surprises further down the line. In other words using us doesn’t cost you money – it saves you money! We always bear in mind that at the end of the project it is you who will be living or working in the spaces that we light for you. We begin by taking a brief covering important issues, such as style, budget and timescales. 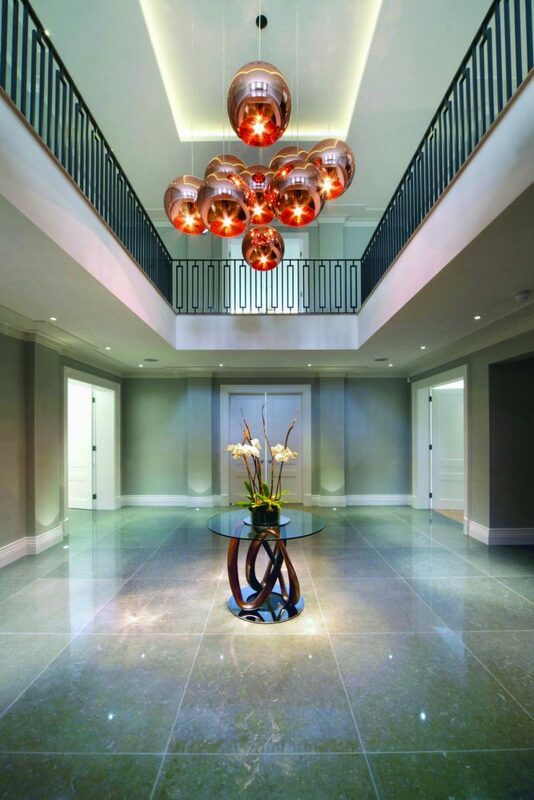 We are not tied to a single or small number of suppliers and are able to search through the vast range on the market to create your lighting design. Our process is always a two-way street that can take more than one presentation of ideas to narrow down to the perfect options for you. It’s feedback from you that helps us get there as quickly as possible! Our lighting design service is aimed at those undertaking new builds, renovations or refurbishments of whole or substantial sections of homes. Lighting designs are created and provided in AutoCAD and/or PDF format. If your plans have been hand drawn, we will provide a competitive quotation to transfer them into AutoCAD. In all instances, where they are available, standard electrical symbols are used – where they are not, we use our own symbols with a clear key for your contractors to easily refer to. We can supplement plans with visualisations from leading lighting design software packages. This is particularly useful for clients who find it difficult to visualise what the light spread will look like within their home. Based in Bedfordshire, most of our projects have been undertaken within the surrounding areas of Hertfordshire, Buckinghamshire, Oxfordshire, Berkshire, Northamptonshire and North London. Some of our further afield projects have been in Essex, Kent, Surrey, Wiltshire, Gloucestershire, Nottinghamshire, Derbyshire, Suffolk, North Yorkshire, the Midlands and overseas in France, Spain, Portugal, Greece, Barbados and Morocco. However, these days you do not have to be geographically close to use our services. In many cases it can be completely handled via telephone conversations, e-mails and snail mail, but there’s always a full on-site lighting design service available. Do you have question about lighting design?